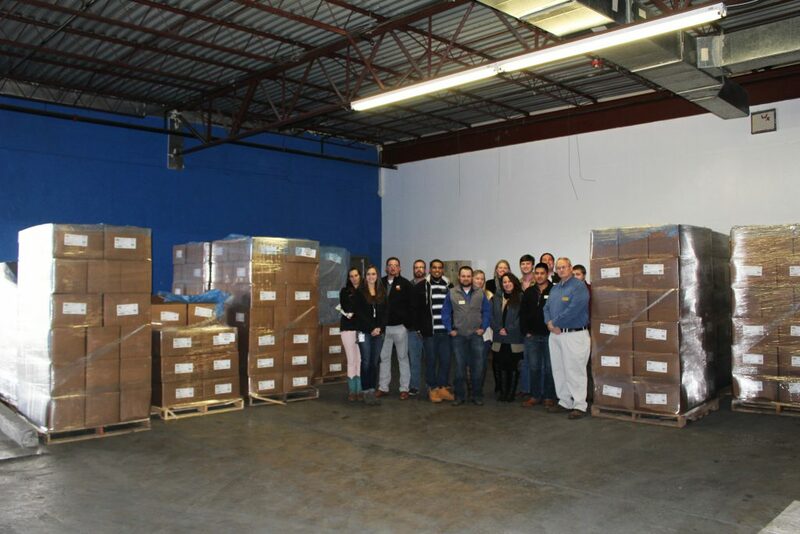 On Dec. 28th, 2017, OK Foods completed the first year of its strategic long-term partnership with the Fort Smith River Valley Regional Food Bank with its donation of 20,000 pounds of chicken. This delivery brings the total giving to 100,000 pounds! The partnership between the food bank and OK Foods began with a five-year commitment to provide 500,000 pounds of chicken products to the food bank. The donation is the largest commitment in OK Foods history and will help provide nourishment to people in the River Valley community. Members of the OK Foods Emerging Leaders Academy toured the River Valley Regional Food Bank during the donation with Marc Baker, executive director of the Crawford-Sebastian Community Development Council. To find out more about the Food Bank or the many services offered from the Crawford-Sebastian Community Development Council visit their website at cscdccaa.org or call 479-785-2303. OK Foods Emerging Leaders Academy toured the River Valley Regional Food Bank during the December 28th Donation.